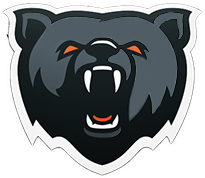 Grizzly Seed Bank uses state of the art Affiliate software to facilitate and manage the grizzly affiliate program. Joining the Program is easy. First, complete our online application. Once you’ve been approved, we’ll supply you with a number of banner image links and text links for you to place on your website. Each time a customer clicks on your link to our site and orders cannabis seeds from ‘grizzly-cannabis-seeds.co.uk’ you’ll earn a 15% commission.